This self-drive partly guided tour takes you to some of the wilder places along Ireland’s rugged, green, remote, west coast – the Wild Atlantic Way. Stop to explore the sights, enjoy the views, chat with the locals, or have a pint at the local pub, all at your own pace. 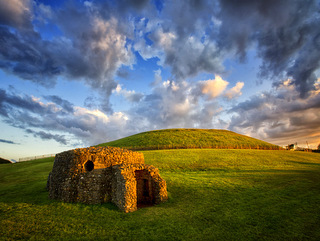 Ireland has much to offer, from ancient Celtic stones to modern art, traditional music and dance, and wonderful hospitality. We believe that to travel responsibly, a portion of our tour cost should benefit communities in need. For this trip, we will donate to DOCTORS WITHOUT BORDERS a humanitarian-aid organization that provides ongoing emergency medical aid around the world. Evening at leisure. Drop into the local pub for a taste of Irish life with a pint of Guinness. After breakfast, meet your guide for a half-day guided exploration of Dublin City. Dive into Viking history at the National Museum of Ireland, take in famous Dublin landmarks such as Trinity College, pedestrian-only Grafton Street, and Christ Church Cathedral. Afternoon and evening at leisure to continue exploring on your own. 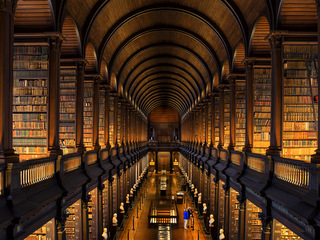 Try an evening Literary Pub Crawl through Dublin. 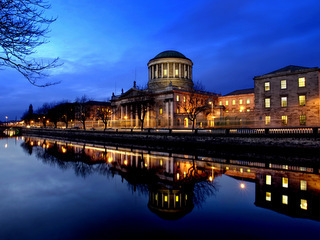 After breakfast, pick up your rental car in Dublin City center and depart for romantic Connemara on the wild west coast of Ireland. 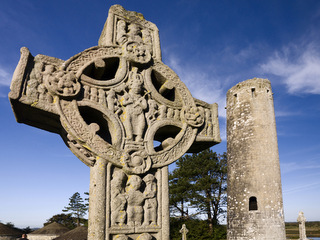 En route, you may want to stop at the ancient Christian site of Clonmacnoise overlooking the River Shannon. This sacred site includes the ruins of a cathedral and seven churches from the 10th-13th centuries. Continue on to Connemara and your charming hotel in the seaside village of Letterfrack. Upon arrival, take a scenic walk in nearby Connemara National Park and appreciate the stunning island and mountain views. 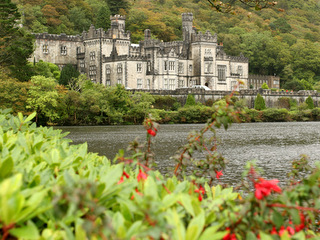 After breakfast, drive to Kylemore Abbey where you’ll find the Victorian Walled Garden. In the afternoon, take two enchanting walks—a seaweed foraging walk and a forest foraging walk—with a local guide through some of Connemara’s more spectacular scenery. Learn what makes these ecosystems so special. Return to Letterfrack for overnight. 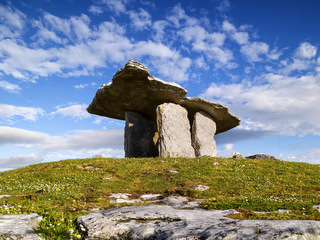 This morning, depart for County Clare through the arresting Burren landscape along the Wild Atlantic Way. Stop at Dunguaire Castle outside Kinvara en route. As you drive down the coastline, stop at the spectacular Cliffs of Moher that drop dramatically to the sea hundreds of feet below. 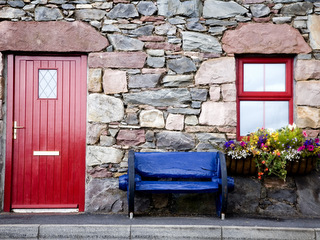 Check into your hotel near the village of Lisdoonvarna. 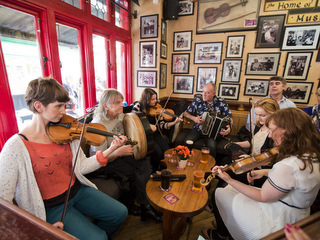 Be sure to venture out this evening to one of the many traditional Irish music pubs the local villages are renown for. Today, immerse yourself in the hidden magic of the Burren with your guide. Experience its wildness and ancient sites. Gain insight into the past generations who farmed this landscape where the legacies of Irish forefathers unfold. Afternoon and evening at leisure. Have one last night in Lisdoonvarna enjoying the local music! 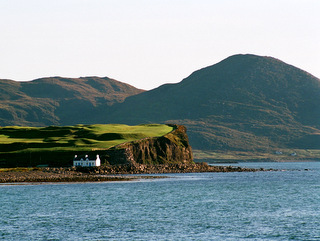 Continue down the coast to County Kerry – known as the ‘Kingdom of Kerry’. Tour options may include a drive, a walk or pony and trap ride through the dramatic, glaciated Gap of Dunloe with a visit to the restored, 15th-century Ross Castle. Alternatively, you may wish to walk or bicycle through Killarney National Park, a stunningly beautiful setting of mountains, lakes, woods, and waterfalls. Check into your hotel near the village of Glenbeigh. Evening at leisure to visit its many fine restaurants and pubs. 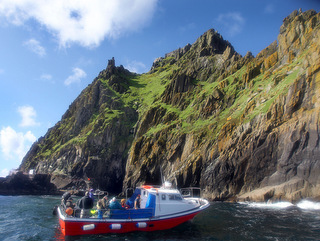 Morning visit to Skellig Micheal—a UNESCO world heritage and monastic site—by boat (weather permitting). If weather does not permit the crossing, enjoy the Ring of Kerry & Valentia Island Tour (includes guided walking tour of Bray Head and visit to Skellig Experience Centre). This afternoon, continue your exploration of the towns and ultra-scenic Ring of Kerry on your own. Overnight nearby Glenbeigh. Say goodbye to Ireland! Enjoy your last Irish breakfast, depart by car for Dublin Airport and your flight home. Add an extra day with a visit to the Aran Islands. Catch the ferry in the morning to explore the history, culture, folklore, music of the islands, and hear the spoken Gaelic language. Travel by horse & trap, on foot, by bicycle or taxi! 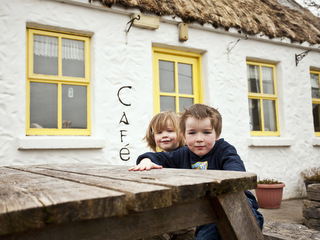 Head back to your hotel near the village of Lisdoonvarna for overnight. The next morning, resume the itinerary above continuing on to County Kerry. If you would like to continue to explore Ireland with a trip to the north or a drive across the southern regions, contact us and we can easily extend your self-drive.